Learn how to use CSS variables to make your CSS more easily understood and more maintainable. CSS variables are a powerful solution to create reusable information in your CSS that can be changed and manipulated more easily than doing a search and replace. Another great benefit is that we can give the variables names that make our CSS more obvious instead of having random numbers & colours scattered around. Probably not quite ready to be used in a live, client-facing website yet. Still waiting on Microsoft Edge for support. Start the lesson by forking and cloning the using-css-variables repository. Fork & clone the “using-css-variables” repo. To get started we need some HTML & CSS files and we’ll include a copy of Modulifier, Gridifier & Typografier. Make a main.css in your css folder—it can remain empty. Make a modules.css in your css folder—get a new version from Modulifier. Make sure to press “Select All”. 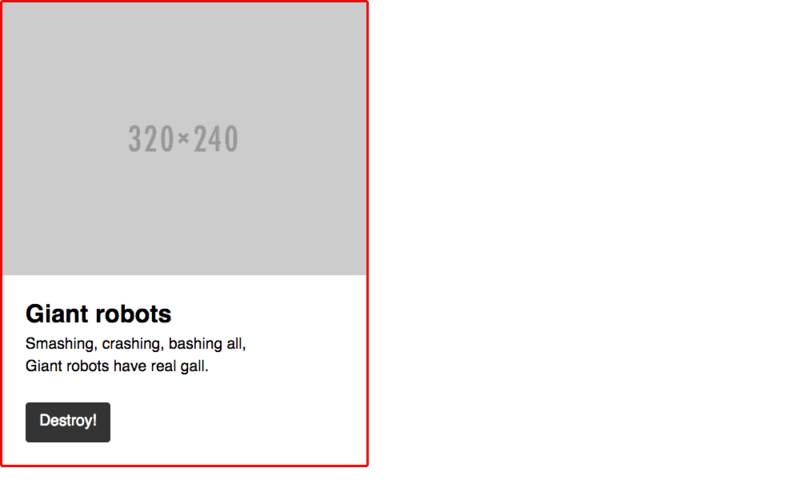 Make a grid.css in your css folder—get a new version from Gridifier. Make a type.css in your css folder—get a new version from Typografier. Let’s write a little HTML to get started, a simple card that we can style with a few CSS variables. Using the <br> tag here is okay because the text is a poem, and in poetry the line breaks are part of the content. Let’s add a little CSS to our card to get it looking kinda actually like a card. Some of these properties are temporary and we’ll probably replace them later. Let’s make the border red for now, but we’ll likely change it later. I’m not sure if I like the 4px border radius, I think I’ll change it later to have more personality. CSS variables allow us to put information in a common location. We can then use that information in multiple places in our CSS. It works really well for things like colours and fonts. We define them once, at the top, then use them in multiple places. It’s especially helpful for colours because we don’t have to remember the hex value, just the name of the variable—which our code editor should autocomplete for us. We can define our variables anywhere in the CSS, but it’s often best to define them at the very top, in the :root selector. We can create a new block in our CSS called :root—within this we can create variables that are shared on the whole website. The :root block should always be at the top of the CSS file. Variable names always start with two dashes (--), then you make up whatever you want afterwards. I always start the variable name with --color if it’s a colour or --font if it’s a font. When we want to use the variable we start with the var() function and write the name of the variable inside it. Let’s now style a few more things on the page with our variables. If we target .card-title we can use the --color-primary variable to change its colour to match the border of our card. We can do the same on our button, using the colour and border radius variables to adjust the button to match our card a little more. I’d like to make the fonts into variables. But first, let’s add another font to our website. Go to Google Fonts and select “Roboto Slab”—make sure to choose “Normal” and “Bold”. And one for the secondary font, "Roboto Slab"
Then we’ll use those fonts in a few places in our CSS. Here we’ll set the font of all the main body copy to our primary font. We’ll set the font family of the main card heading to our secondary font, to make it stand out from the rest of the text. We’ll also set the button to use our secondary font. I’m not happy with the colours or the border radii of the design. So I want to change them all—this is where CSS variables really show their flexibility. If I just change just the variables at the top of my file then everything that uses them will automatically change too. Check it out in your browser! You should see that all the colours are a much nicer magenta and the border radii are more unique and engaging—and we only had to change two lines of code.